The most important thing about the Beomaster 1200 was not a detail of its design or construction, but that it was the centrepiece of the 1200 system, the first “complete” audio system that B&O offered. The 1200 system offered all the sources available at the time, a three speed record player, a two speed stereo tape recorder (open reel of course) and a radio with full coverage of the AM and FM bands. A pair of matching two-way loudspeakers completed the system. Text copyright © Beocentral. Unauthorised reproduction prohibited. Beomaster 1200 itself offered exciting new styling based around all the controls being on the top surface and the largest ever “slide rule” tuning pointer B&O ever used. Of course, Beomaster 1000 had some of the controls on the top, but since all the Beomaster 1200’s controls were on the top, it became practical to hang the set vertically against a wall as well as set it down on a table (either flat or slightly inclined using a wire stand at the rear). This format remained popular, and continued right up to the Beosystem 4500 of the early 90s. Text copyright © Beocentral. Unauthorised reproduction prohibited. Technically, Beomaster 1200 was a logical development of the silicon version of Beomaster 1000. The output stages and power supply were very similar indeed, though a novel “electronic fuse” based around two current sensing resistors (one for each channel) had been added. These were arranged so as to cut off the regulator transistor should either power amplifier attempt to draw excessive current. Along with the Beomaster 5000 tuner and the Beomaster 3000 receiver (both models in the “High Fidelity” range), the Beomaster 1200 was novel in that the FM stereo decoder was an integral part of the radio section, as opposed to being an optional module (as in the Beomaster 900/1001/1400/1600 etc). Similarly the preamplifier for the magnetic turntable pickup was not a separate part either (unlike the Beomaster 1600), though it could be switched out using a recessed control on the rear socket panel. Quite why this was done is not clear, especially as a specifically matching record player (Beogram 1200, fitted with a magnetic SP 10A pickup) was offered. This Beogram could of course be fitted with the GF 4 preamplifier module, though this would be a needlessly expensive way to set up the system! 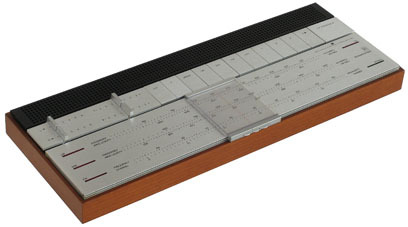 The shift to the use of electronic FM tuning across the Beomaster range of course included the Beomaster 1200, so it was possible to include three preset FM radio stations, the miniature tuning scales for these were located beneath a slide cover to the right of the selector keys. For manual tuning, an indicator light next to each scale showed which waveband was in use, and its intensity helped to show the correct point of tune. Text copyright © Beocentral. Unauthorised reproduction prohibited. Beomaster 1200 was located in the middle of the “Audio” range of equipment, between the FM only Beomaster 1000 and the rather more comprehensive (and expensive!) Beomaster 1600. The design met the DIN 45 500 standard for Hi-Fi, though it could not match the performance of Beomaster 3000 or Beolab 5000. A strange detail is the use of separate left and right channel volume controls instead of the more conventional volume and balance arrangement. While this layout of controls worked well on machines such as the Beocord 2000, it did not suit the requirements of a receiver that well, and saved nothing in panel space or complexity. The only possible reason for laying out the controls this way was to keep the controls looking neat, normally the two volume controls would be aligned, as would the those for treble and bass. Unlike Beomaster 1000 and 1600, a headphone socket was fitted. This was clearly marked as being suitable only for headphones of 100 ohms impedance or more, as there were no limiting resistors fitted internally. Using low impedance headphones at high volumes could result in damage to either the listener or the headphones, or both! Beomaster 1200 proved to be distinctive and popular, and was included in the permanent collection of the New York Museum of Modern Art. It was replaced by the (confusingly named) Beomaster 1001. Text copyright © Beocentral. Unauthorised reproduction prohibited.